The Bemindful | MULX Mindfulness Meditation Android App is delivered by Cameron Aggs a Clinical Psychologist with over 17 years experience in meditation. It has been designed to assist users to quickly enter into a mindful state of mind, with the intention of helping them to unwind, relax and re-focus their attention on the present, in an accepting, and non-judgemental way. Mindfulness training targets attention regulation skills, which creates better mental health outcomes. It also provides a method for helping young people to relate to their emotional lives in increasingly flexible and adaptive ways. The app includes audio tracks to help you connect with the natural clarity of your mind. When we let-go of a past that has already gone, and a future that has not yet arisen, we find ourselves at home in the natural peace of our very own presence. 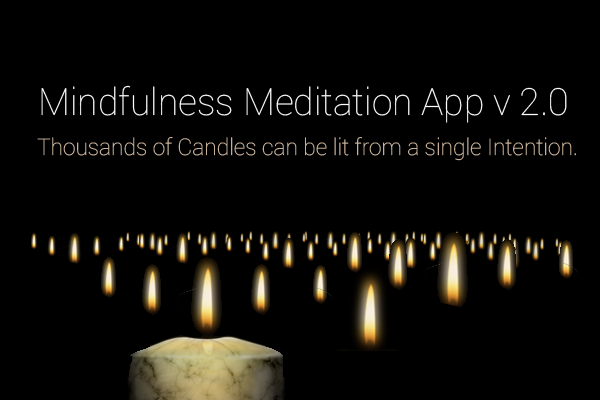 The main screen candle animation acts as a ‘compass’ for your meditation practice. You can also set an intention that will show up on the candle. We have also listed a few Tips for Meditation & to help you use this App to best effect. Version 2.0 is in development with some great new features coming soon. When we let-go of a past that has already gone, and a future that has not yet arisen, we find ourselves at home in the natural peace of our very own presence.